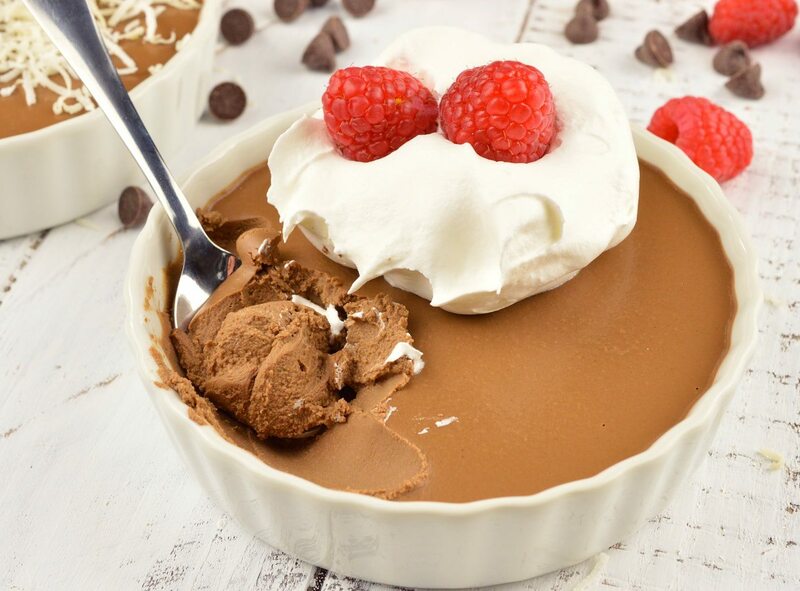 This Coconut Chocolate Pots de Creme Recipe is an elegant yet simple dessert. Perfect for the holidays, Valentine’s Day or to satisfy an extreme chocolate craving! Made with just 5 ingredients, dairy-free and minimal effort, this creamy chocolate treat will be a show-stopper! This tasty recipe is sponsored by Safeway. This luscious dessert is so easy to make and super fun to say . . . Chocolate Pots de Creme! So fancy. And these chocolaty treats look fancy too. These are made super creamy with coconut cream. 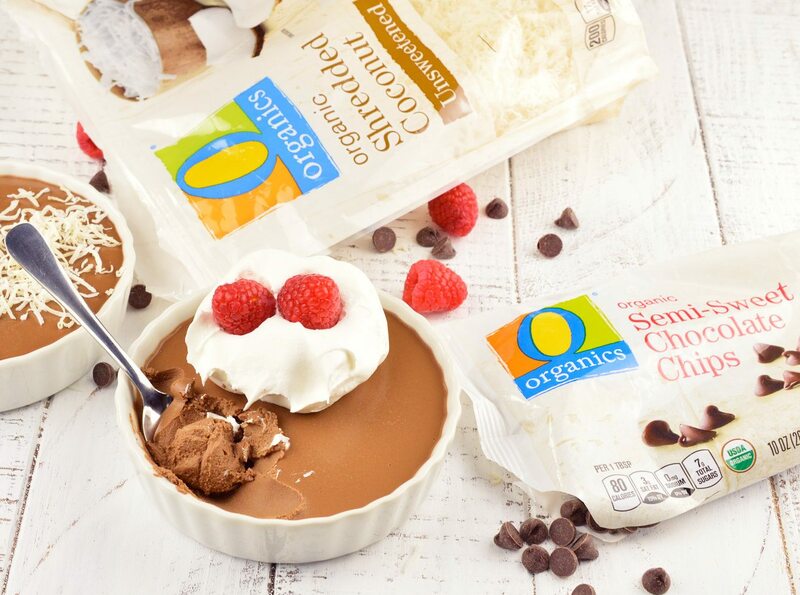 And the O Organics® Semi-Sweet Chocolate Chips are just sweet enough without making these Coconut Chocolate Pots de Creme overly sweet. I absolutely love the O Organics product line. I pick up all of my necessities and these quality USDA-certified organic products at my local Northern California Safeway for a great value. Safeway always has what I need and their friendly staff is so helpful. I have been chatting with the same cashiers for years. It makes eating healthy much easier because they believe that great tasting organic food should be available to everyone. Safeway is a one-stop shop for all of my holiday baking needs, with over 400 USDA-certified O Organics products in nearly every aisle. You can find O Organics near you at Albertsons, Safeway, Jewel-Osco, Vons, Pavilions, Randalls, Tom Thumb, Shaw’s, Star Market, United Express and United and Carrs/Safeway. 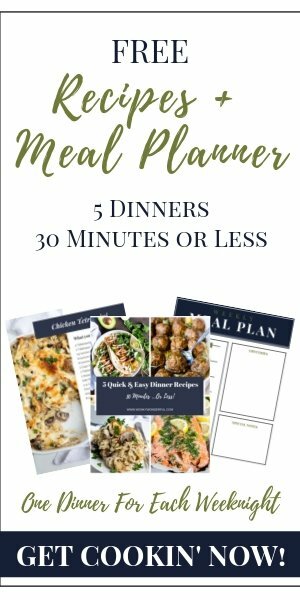 Visit Here to find a store near you and discover more meal prep tips and recipe ideas. 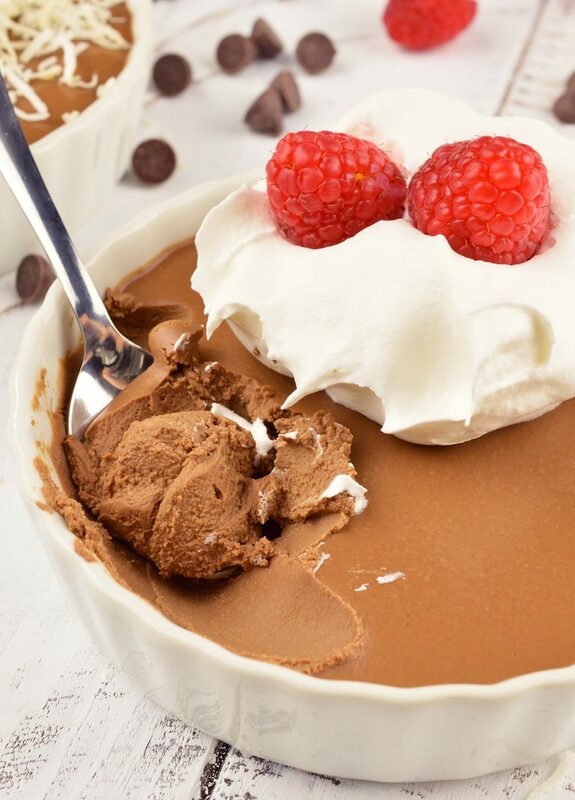 So not only is this dessert great for a romantic evening in. But, it would be fantastic for large holiday gatherings as well. This chocolaty treat is super rich, so a little goes a long way. And you prepare it a day ahead, so one less thing to do on the actual holiday. 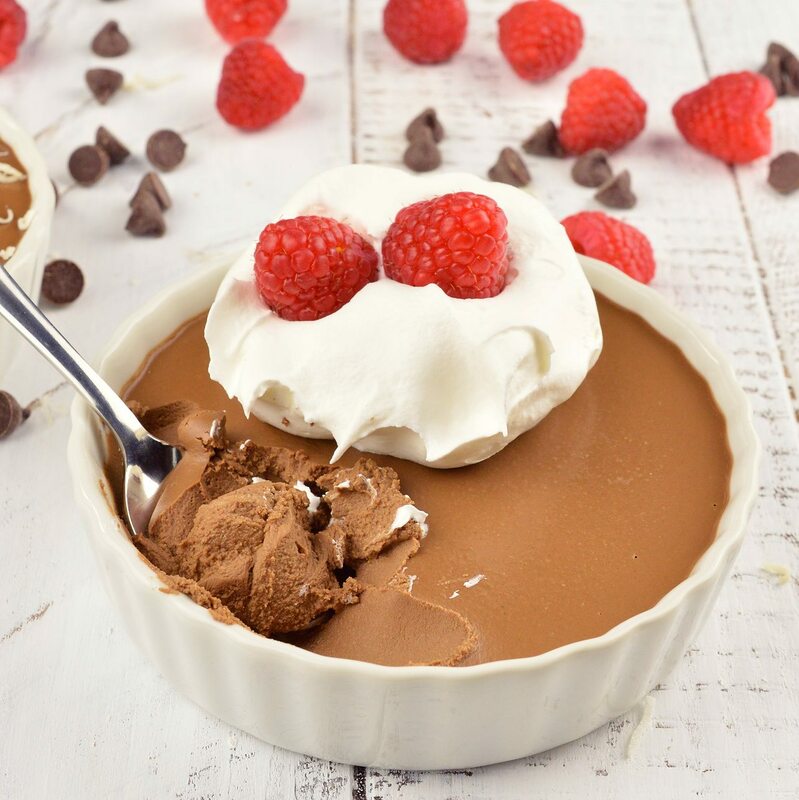 You can top these Coconut Chocolate Pots de Creme with whatever you prefer. I topped mine with O Organics shredded coconut. They are also great topped with whipped cream and raspberries. My daughter ooooohhhed and aaawwwwed over how pretty they are <— and she is not easily impressed! 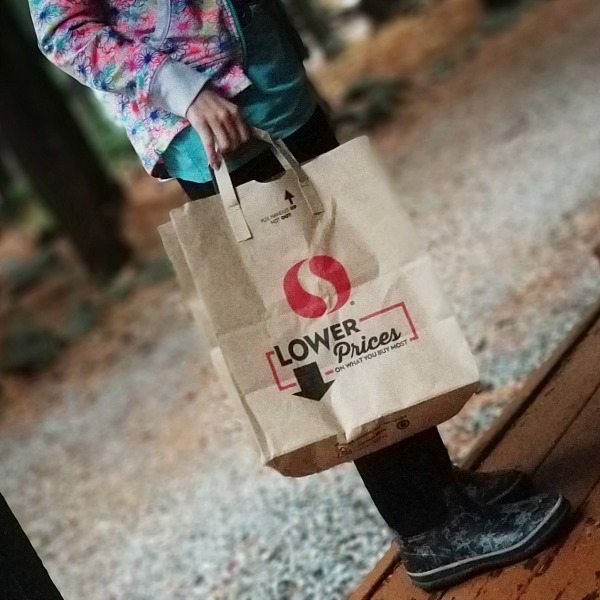 Don’t forget to have the kiddos help you carry in the groceries. They have to earn their Chocolate Pots de Creme! 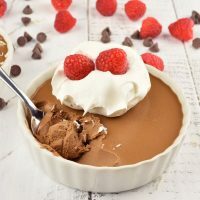 This Coconut Chocolate Pots de Creme Recipe is an elegant yet simple dessert. Perfect for the holidays, Valentine's Day or to satisfy an extreme chocolate craving! Made with just 5 ingredients, dairy-free and minimal effort, this creamy chocolate treat will be a show-stopper! Quickly whisk together coconut cream and eggs in a 3 quart pot over medium heat. Continue to whisk and cook for 5-7 minutes or until mixture begins to steam heavily. Remove pot from heat and immediately begin to stir in chocolate chips. Add a little at a time, whisking between each addition until all chocolate is melted and smooth. Pour into mini dishes or ramekins. Refrigerate 6+ hours to set. Top with shredded coconut, whipped cream and raspberries. Serve. 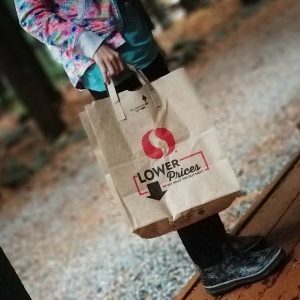 If you are interested in trying Safeway’s grocery delivery this holiday season, save with Free Delivery on your first order or $25 dollars off + Free Delivery on your 1st order when you spend $100 or more. Enter promo code: SEASONSEATINGS at online checkout. Order by 1/14/18.